I wasn't going to put anything up today but this picture from last week came out so unexpectedly well I have to share immediately -- I love the Art Deco vibe. 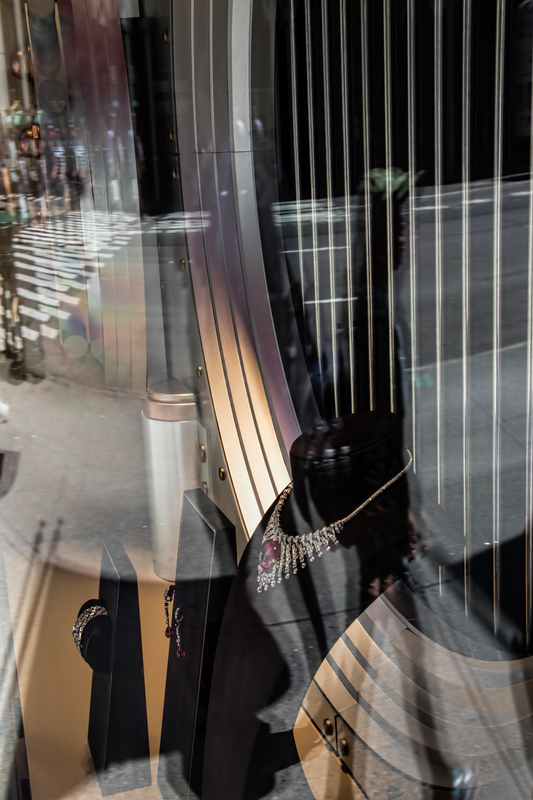 This is another window at Cartier on Fifth Avenue. I think I see the beginning of a series here.